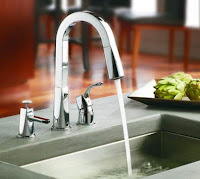 A Bathroom Faucet, also known as a Lavatory Faucet, is one of the most essential and highly used fixtures in your home. Think about it! 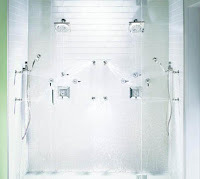 The Bathroom is in one of the most functional rooms of the house where every member of the household uses the Bathroom Faucet at least 3-4 times per day. 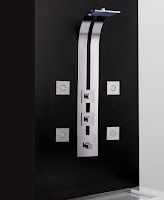 In addition to that it is the one fixture your guests will use as well. You want to make a good impression. 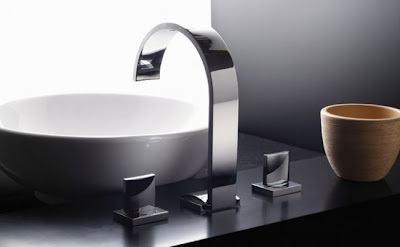 The Bathroom Faucet sets the style and mood of your bathroom. The Bathroom Faucet once was a mundane necessity for washing hands and cleaning up. 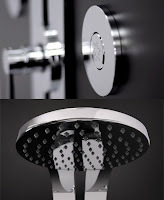 Manufactures are now turning Bathroom Faucets into attention getting features packed with design and style. 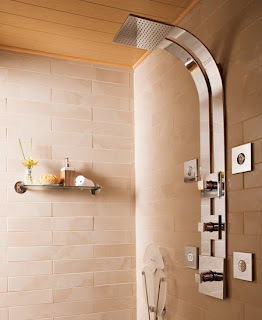 Homeowners are now making their bathrooms a sanctuary or spa like place where they can relax. 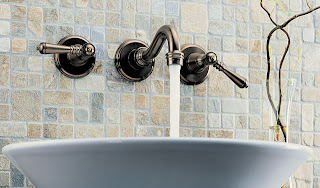 Now Bathroom Faucets have more shapes, styles, finishes and functions than ever before. 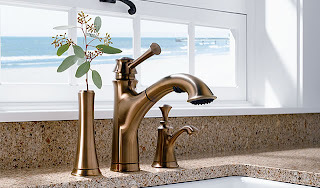 Read our Bathroom Faucets Buying Guide to help you decide which bathroom faucet style will fit your bathroom style and design the best. 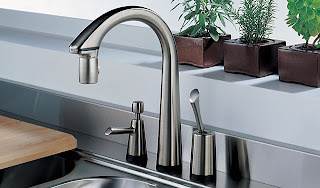 Two of the biggest styles in Bathroom Faucets are the 4” Two Handle Mini-Widespread Bathroom Faucet and the Two Handle Widespread Bathroom Faucet. 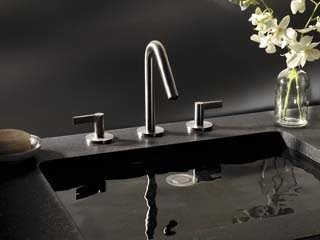 One of the fastest growing trends is the Vessel Filler Bathroom Faucet to coordinate with the ever popular vessel sinks. 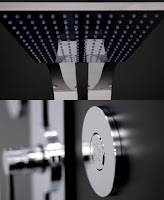 Since the bathroom is now all about design and style manufacturers make collections and accessories which all coordinate with a matching theme and finish. 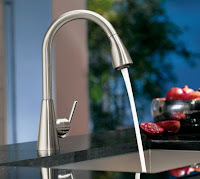 For instance the bathroom faucet will coordinate with a matching tub filler faucet or bathroom shower faucet. 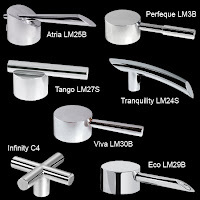 Make sure you visit our bathroom sinks page as well as our Bathroom Accessories page for Towel Bars and Robe Hooks. Whether you’re looking for contemporary, traditional or something stately there is a bathroom faucet available to meet every desire. The bathroom of your dreams is just around the corner. 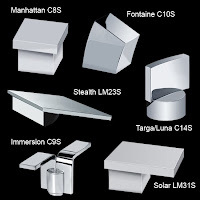 There are many types, styles and finishes to choose from. 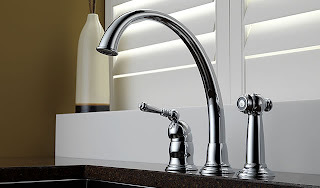 If you read our Bathroom Faucets Buying Guide you will get more in depth information on the different types, styles and functions of Bathroom Faucets. If you need further assistance please call us at 1-(800)-891-0896. 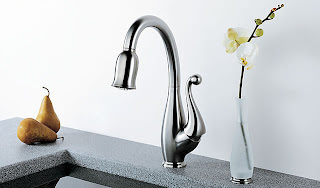 Our Bathroom Faucet experts are trained to help you select the right Bathroom Faucet. They will be happy to be your personal shopper to assist you in your buying process. 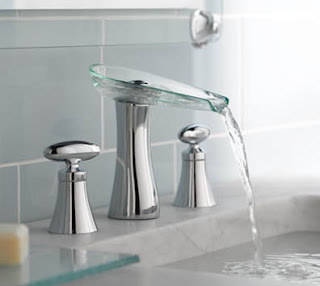 Be sure to also visit our bathroom sinks page if you need help selecting a bathroom sink that compliments the style of your bathroom and new faucet. Simplicity meets sophistication to create our Divine Kitchen Collection. 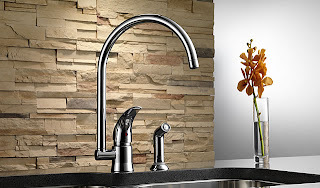 Felicity Kitchen and Preparatory/Bar Faucets are exhibits of geometric nature, with flowing lines and arching spouts that give both modern and traditional kitchens a touch of elegance. With delicate curves that provide immeasurable impact, Savvy puts a chic spin on your traditional kitchen that takes it to a whole new place. 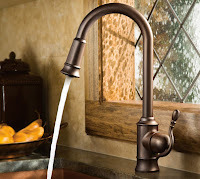 With its unique, beautiful design and swivel spout with available side sprayer, the Waterhill two-handle bridge faucet has a charm that will have you captivated. eFaucets offers every style of claw foot tubs from top manufacturers to suite your style and needs. Claw Foot Tubs are commonly referred to as Vintage Tubs. There are basically four main categories of clawfoot tubs. 1) Roll Top Cast Iron Tubs, Slipper Cast Iron Tubs, Double Slipper Tubs, Dual Tub, Dual Tubs on Plinth, Acrylic Roll Top Tubs, Acrylic Slipper Tubs, Acrylic Dual Tubs, Acrylic Dual Tubs on Plinth, Acrylic Double Slipper on Plinth. Featuring a fluid profile that demands attention, the new Sade Faucet Collection from Graff Faucets elevates bathing to new heights, moving water as nature intended. 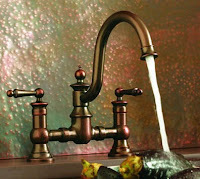 This stunningly crafted faucet re-defines bathroom elegance and adds the finishing touch to even the most decadent decors. 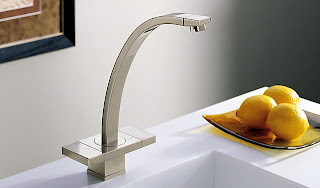 Graff is a leader in contemporary faucets. 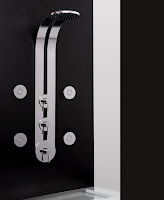 eFaucets.com, the leading online retailer of faucets, carries the full line of Graff faucets and accessories. The European commercial design of Riviera is for the kitchen that will see serious culinary use. 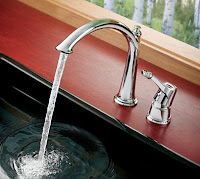 Dramatic high-arch spout can be adjusted 360° to be left, right or behind the handle. 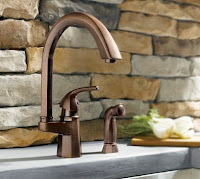 The simple and classic design of Providence Classic by Brizo fits the style and taste of the traditional kitchen. Tresa reunites us with the past by taking design elements from the earliest of European fountains. A simple bend in the neck and traditional styling provide the classic feel of these graceful structures.